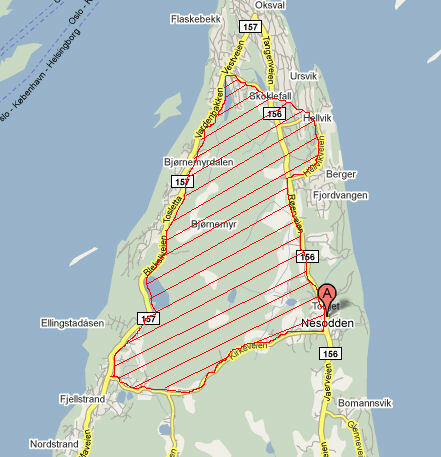 The area indicated is embargoed for participants in the Norwegian O-Festival 2011. The area is covered primarily by the maps "Tomåsan" and "Gaupefjell". According to the guidelines of the Norwegian Orienteering Federation, access to main roads and prepared skiing tracks - without a map! - is allowed. For participants, leaders etc. for the World Cup the terrain is totally out of bounds.